Man, you’d think that being a recurring villain in one of Nintendo’s best-loved franchises would get you a decent dental plan. 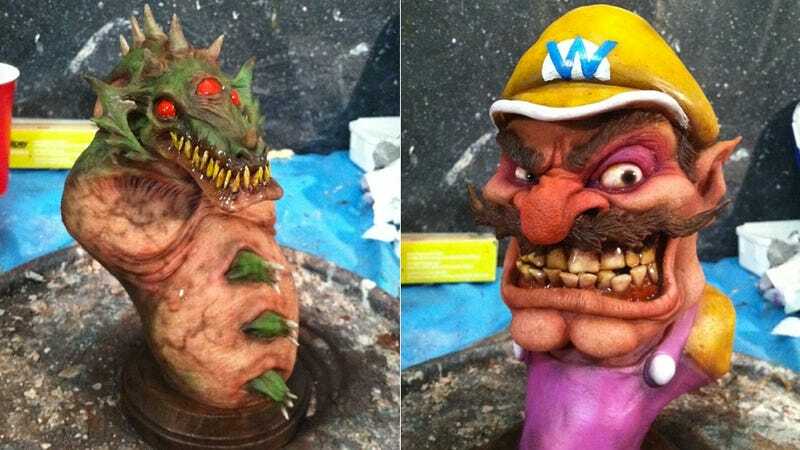 But, from the looks of the choppers on Wario in the sculpture above, the job of evil doppelganger certainly does not. The busts above are the work of artist Cig Neutron, and will be featured as part of the upcoming 3NES art exhibit at New York City’s Bottleneck Gallery. You know how Wario doesn’t seem all that threatening in his games and more like a venal, goofy greedmeister? Well, in Neutron’s bust, he looks like someone who’ll bite your throat out for a quarter. Don’t get too close.